We can take care of your vehicle title, registration and plates as well as your license and permit needs at our St. Louis Park location. Monday - Thursday: 8:00 am - 7:00 p.m.
Friday: 8:00 am - 6:00 p.m.
Saturday: 9:00 am - 5:00 p.m. Vehicle registration services & associated fees. Up-to-date information on the cost of driver's licenses and permits. If you have your reminder notice from the state, you can renew your Minnesota tabs with AAA through our drop box or mail service. Specialty and personalized license plate information, including types, fees, and application. Pick up a passport application and have your passport photo taken at our AAA Travel Store locations. International Driving Permits are done while you wait in any of our offices. 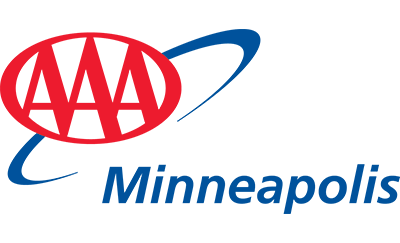 Find answers to frequently asked questions about vehicle title and registration at AAA Minneapolis. Additional information about common Minnesota license & registration topics. Stay informed as Minnesota transitions to REAL ID and learn how the new identification cards will be rolled out in Minnesota. Looking for driver testing stations? Search for a road test location near you and schedule a driver's exam.